Medical uniforms have become an essential component of the medical industry. Nurses have become known for their scrubs and doctors known for their lab coats. These medical uniforms provide a sense of calm and security for patients while also providing a professional appearance and cleanlier work environment. While many medical offices trust medical uniform rental for their staff, other offices are still skeptical. 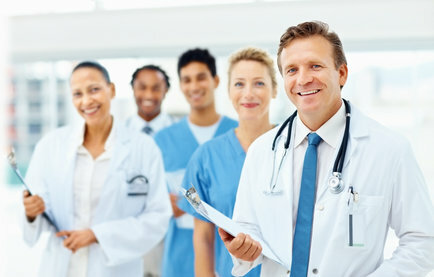 So what benefits can be expected from a medical uniform rental service? Cleanliness- When you trust a medical uniform rental service with your staffs' uniforms, you are getting a guarantee that the uniforms worn will be clean every time. There is no way to confirm if the medical uniforms are cleaned properly by staff members when they take them home at night. If staff members wear unclean uniforms, you could be leaving patience, and other staff members, vulnerable to illness. Identical- One of the main purposes of medical uniforms is to keep your staff looking together and as a unit. If you leave choosing uniforms to each individual staff member, you could have a disjointed team that could leave patients confused. Fresh- Over time, medical uniforms can become dull and worn. From numerous washes and constant activity, your uniforms could have stains and holes, leaving your staff looking unprofessional. With a medical uniform rental service, your staff will have access to uniforms that look good as new. Money- Uniform rental services are known to help save your establishment money in the long run. Staff members won't have to be sent home for poor uniforms and money doesn't have to be spent on constant uniform replacement. Rent your Medical Uniforms Today! We pride ourselves on being able to offer our customers the most competitive prices thanks to our national affiliation with ApparelMasterÂ®. Do you enjoy clicking â€œLike" and â€œFollow" throughout the day? Be sure to visit our official pages on Google+, Facebook, Pinterest, and Twitter today!